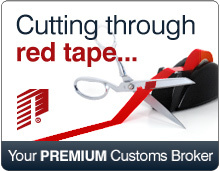 Urgent Services | Pacific Customs Brokers Inc.
Do you have an urgent need for a customs broker? Do you have urgent transportation requirements? Are you having a difficult time contacting your own customs broker during non-standard business hours or on weekends? Pacific Customs Brokers is ALWAYS Open with a 24/7 LIVE Reception Team answering your calls and "no voice mail". The Reception Team is highly trained to direct your urgent calls to the correct operational department. At all times of the day, Pacific Customs Brokers has a Certified Customs Broker (CCS) on shift for urgent shipment requests. Your call will be answered 24/7 days per week. Your Urgent Request Submission Form or email will be responded by a return phone call momentarily. Pacific is often called upon to solve and support an Urgent must get there problem. We will take your call 24 hours a day 7 days a week and deliver a solution to you. We operate this service through all modes of transport.